It’s never say never for Fuji TV’s getsu9 timeslot. Oda Yuji’s “SUITS” gained a high 14.2% rating for its first episode. Oda, the star of the iconic 1991 getsu9 drama “Tokyo Love Story” is back to the timeslot for the first time since 2008’s “Taiyou to Umi no Kyoshitsu”. The prestigious Monday primetime slot of the network has seen sluggish ratings for these past few years, with its worst rated dramas even hitting below 5%. It briefly recovered during the run of “Code Blue Season 3” (16.3%) last year before hitting back to single digits. Last summer season’s “Abosulute Zero” brought it back to double digit ratings (10.6%). 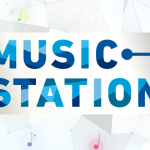 It’s been 4 years since the timeslot achieved consecutive season double digit premiere ratings, impressing upon the ‘revival’ of the “getsu9” brand. Oda Yuji co-stars with Hey! Say! 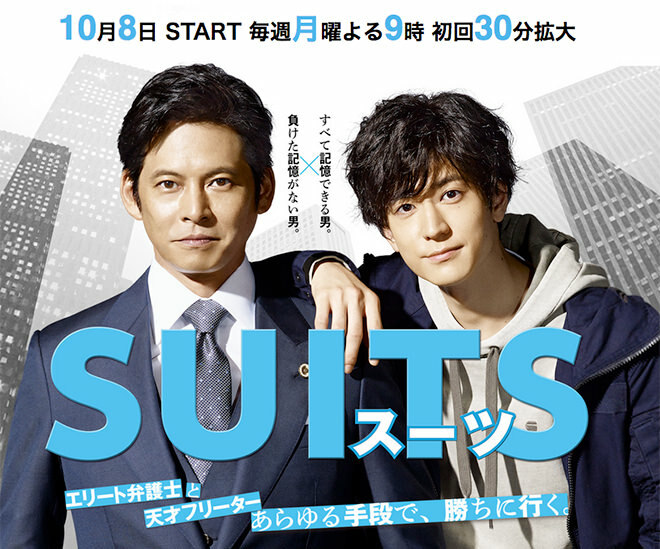 JUMP’s Nakajima Yuto in “SUITS”, based on the American legal drama of the same name. Kai Shogo (Oda) plays a talented lawyer with an arrogant personality, who was ordered to hire an associate partner as a condition for his promotion. Meanwhile, Suzuki Daiki (Nakajima), a young man with highly proficient skills comes for an interview. Despite his abilities, he had been spending much of his life up until this moment as a delinquent, without a stable job. Fans have also been anticipating the reunion between Oda Yuji and and Suzuki Honami, the first time the two are working together again 27 years after “Tokyo Love Story”. The legendary drama was re-aired on television by Fuji TV last month.